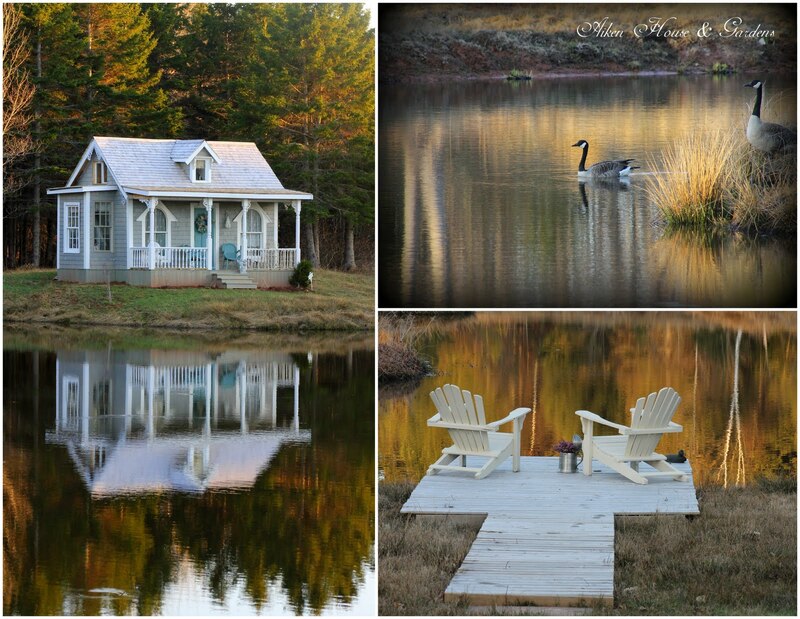 I am just popping in to share some of the beauty of nature that is surrounding us this spring.We are still doing the finishing touches on our little boathouse but thought you might enjoy a little preview. I love how it reflects on the pond when it is calm out. Such a relaxing spot to sit for awhile and enjoy the beauty! Sometimes we have a pair of Canada geese and sometimes a pair of mallard ducks. As you can see spring is slower coming this year but each day it gets closer! They do look graceful swimming in the pond. A thrift shop container will look good with different plants or bouquets. Thank you so much for all your lovely comments and support ~ I am so happy with your response!! !